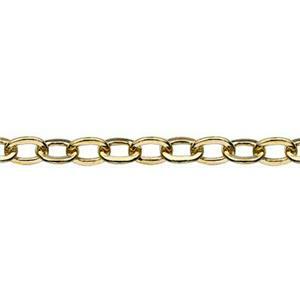 Bulk gold filled jewelry chain footage in a small diameter, but with sturdy links for a variety of jewelry making applications. Tight links make this a beautiful choice for making tassels, fringe or shoulder duster dangles. Get the durability and affordability of quality gold filled material. Be sure to check out our references on gold filled material information. Looking for the perfect Jump Ring for this chain? Try GJ33 or GJ63!